If you are in the market to buy or sell your boat, let Don Mann Yacht Sales go to work for you today. Call, or stop in to our office located at RiverPoint Landing Marina. This 39' Hudson has just finished going thru a nice face lift. She is a single diesel with a large aft master stateroom and a v berth forward, each with their own head. Power is supplied by a single 120 hp Lehman diesel with less than 100 hours since rebuild and burns about 1.5 gph at cruise of 7.5 to 8 knots. Offshore 120vac power is supplied by a Kubota cruising alternator that can produce as much as 5kw. Fresh paint and brightwork everywhere you look. Can be a nice liveaboard. 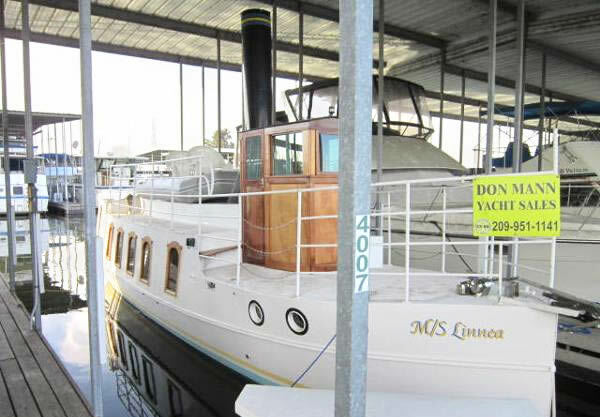 1979 Fisher 29: Perfect small houseboat for dawdling around the delta. Nothing fancy but clean and ready to go for a night or a few days. This is a very nice Century Coronado 21 that had Ford 310 engine rebuilt in 2000 and also had in water part of bottom fiber glassed. Has column shifter for transmission. Full boat cover and bomini top. Original hardtop is included with sale. Tandem axle trailer with brakes. 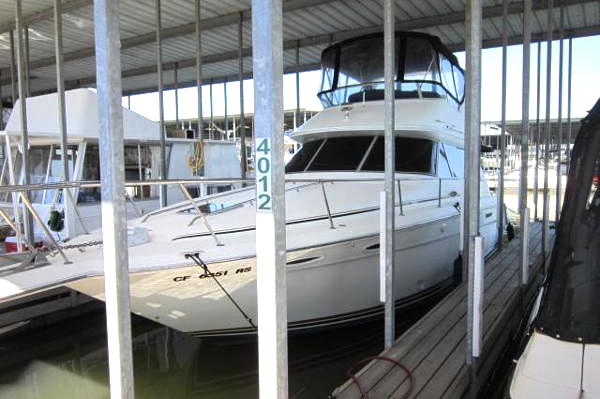 2003 Bayliner 2452 Classic, Mercruiser 5.0 ltr. 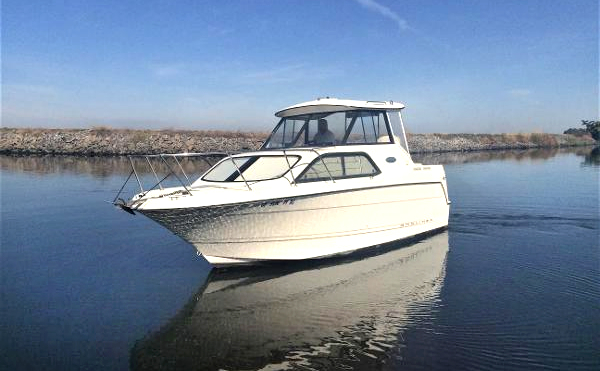 with alpha one drive, 738 hours, Hauled out and detailed September 2018, Runs great, All cushions inside great condition, fridge and stove never used, drop down enclosure off of hardtop, GPS 182 C, Fish Finder, Depth sounder, Water temp, Hold & Cold transom shower, Lots of storage,tandem axle trailer.One owner boat for 15 years. 1965 Tollycraft Sportabout 17' Original 289 Complete rebuild and balanced with 80 hours on running gear, all gauges are rebuilt and original, Complete restore with epoxy bottom and wood planked upper,Perfect boat for the wood boat collector or everyday user,Custom single axle trailer, Full boat cover as well, This a turn key 17' Tollycraft over $50,000.00 put into this runabout over the last seven years. Custom built replica of 19th century Swedish launch designed by Alfred Steam Ship. 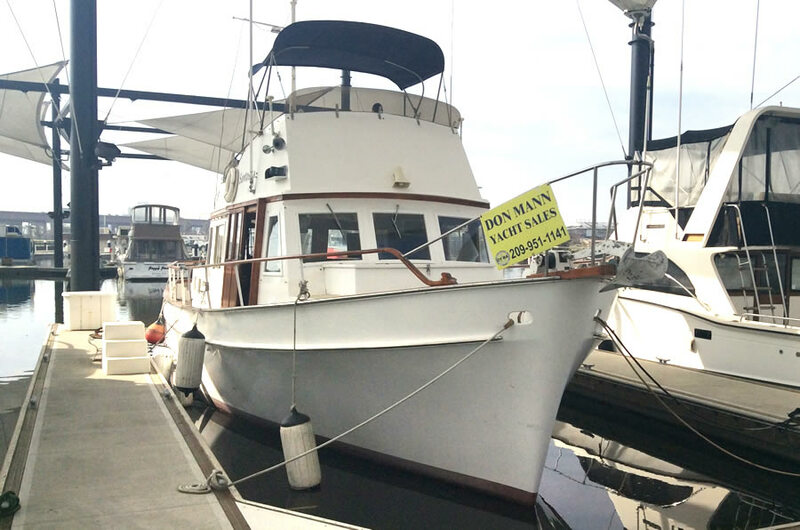 Single diesel, Build was completed at Ladd's Marina of Stockton. Designed by Eldridge and McGinnis the 42 foot Bristol trawler is a classic design with timeless lines. Two cabin two head layout lots of room,large salon,powered by twin Perkins 130s hoses belts have been replaced as well as services done 453.5 hours on port 1149.2 hours on starboard. 5 kw upgraded Northern lights generator 326.3 hours, Zantrex invertor 2000, long list of upgrades in engine room, Autopilot, (2) GPS upper and lower stations, Radar, (2) VHF ship to shore upper and lower, 2016 Hauled bottom paint, zincs, stabilizers gone through, all Brightwork outside, motors serviced, hoses & Belts replaced. A must see yacht. Owner ready to move into retirement. Make offer. Twin 7.4 MerCruiser 620 hp total, AC/HEAT in Master and Salon, Flatscreen Tvs,Norcold Fridge/Freezer,Ice maker,Microwave, Vacuflush toilet, Flowscan, Furuno Radar, Cetreck autopilot,DataMarine(Depth,Speed,Temp), Trim tabs, Windless control, Quicksilver Generator 7.5kw,Fully enclosed bridge, Canvas Bimini over cockpit.